I have made a number of posts about Cattell's investment hypothesis at IQs Corner. All such posts, that include a post with a good defintion, can be found here. 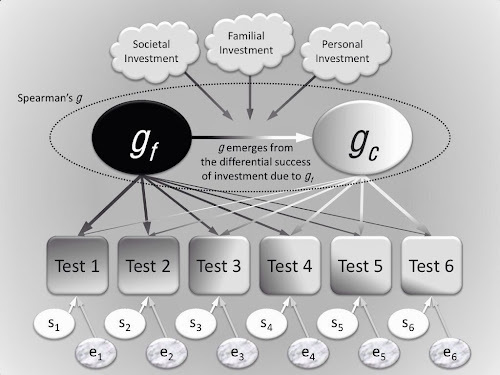 Recently Joel Schneider and I included a nice visual explanation of the investment hypothesis in our 2012 CHC chapter. The figure below is made by the master of visual-graphic explanations--Joel Scheider. 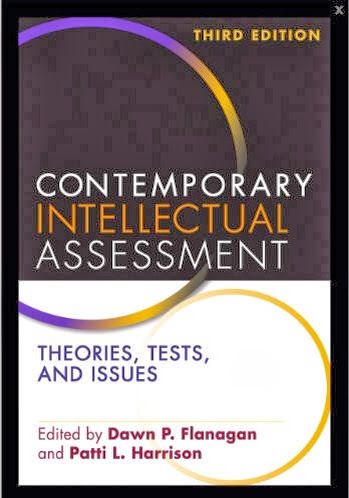 Out treatment of this topic can be found in Schneider & McGrew's (2012) chapter on contemporary CHC theory, a chapter in Flanagan and Harrisons book, Contemporary Intellectual Assessment.